The health of your skin is never more crucial than the weeks before and immediately following surgery. Carefully planned out pre and post-op skin care yields the most positive surgical results. Accelerated healing, less visible scarring, less irritation lead to an increase in overall patient satisfaction with the procedure. Four weeks before a surgery is the best time to begin using products designed to get the skin in a healthy, optimal state. This time is used to infuse the skin with nutrients and hydration to be at its best for the surgery. 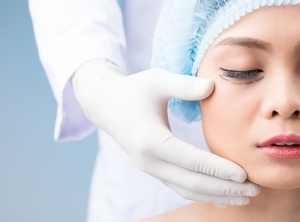 Proper pre surgery skin care helps the skin heal faster with less swelling and bruising at the surgery site. The NeoGenesis Skin Serum and Intensive Moisturizer use the patented S²RM® molecules to drive nutrients into the cells to achieve optimal levels of healthy skin. The skin is nourished, hydrated, and prepared for surgery. After surgery skin care focuses on soothing and healing the skin. There may be pain, redness, swelling and inflammation at the site of the surgery. Without the proper post care, there is an increased risk of scaring and infection. NeoGenesis’ most advanced product, Recovery, is the perfect choice to calm the skin and accelerate the healing process. Recovery is abundant in our patented S²RM® molecules that are naturally packaged in exosomes to be delivered deep into the skin. These molecules deliver the nutrients that are naturally abundant in young skin. The skin is soothed and healed safely. The patient is comfortable and able to get back to normal daily activities more quickly. Hydration continues to be a crucial step in post surgery skin care. Our Intensive Moisturizer continues to provide the hydration needed for the best possible outcome. This important step alleviates post surgery dryness and keeps the skin in an optimal healing state.